One of the biggest challenges faced by children throughout their academic career is the shift from Sr.Kg. to Grade 1. The transition from a sheltered environment to a formal learning environment is usually found stressful by the children. In an effort to bridge this gap and make the transition as smooth as possible, the children of Sr. Kg. 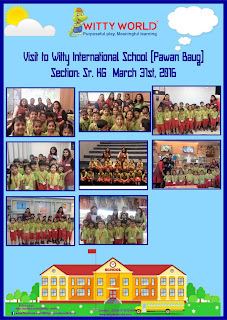 were taken to Witty International School for a “Know your School” field trip. 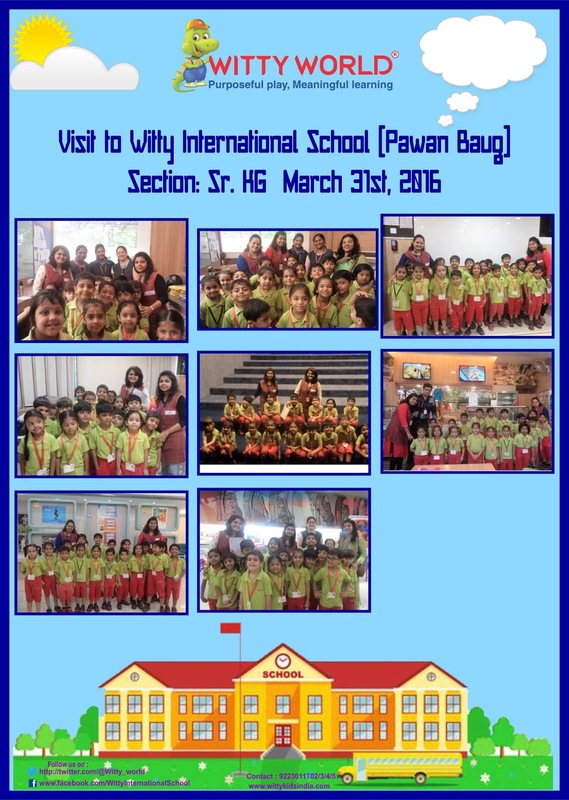 The children visited all the relevant study and play areas which helped them to get familiar with the layout of their new school and also gave them an opportunity to interact with the faculty. Here’s wishing our Sr. KG students a great academic journey! !